Providing industry leading customer service is our primary goal. This means were always searching for talented individuals, that share our passion for delivering outstanding customer care, to join the Besser Team. Robert Amos is the newest member of the Technical Service Team. He’s supporting our Masonry and Hardscape customers with the experience he gained managing a V-12 Vibrapac® equipped block plant. In his role as plant manager his responsibilities included production, safety, quality control, inventory, maintenance and process improvement. He also possesses experience with precast and prestress concrete production. Robert is a graduate of the University of Georgia where he earned a Bachelor&#39;s Degree in Agricultural Engineering. Currently, Robert is providing technical assistance, promoting machine and mold parts, capital equipment and training to producers throughout the Americas. Robert can be reached at 989.906.4198 or ramos@besser.com. 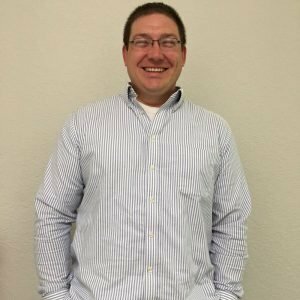 Brian Christle, longtime Besser team member and most recently Operations Manager for our Boone manufacturing facility, now has responsibility for manufacturing operations of the entire Pipe and Precast business. As Operations Manager for Pipe and Precast, Brian is responsible for increasing customer satisfaction while improving the efficiency of manpower, materials, machines, quality, productivity, on-time delivery and ensuring compliance with the corporate safety policy. 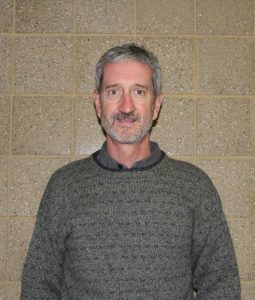 Brian is a graduate of Western Iowa Tech Community College and has nearly 30 years of company and industry experience. His Besser career began in Sioux City drafting plant layouts before becoming a Designer. In 2015, he was promoted to Operations Manager of the Boone facility, responsible for day-to- date management of the plant. 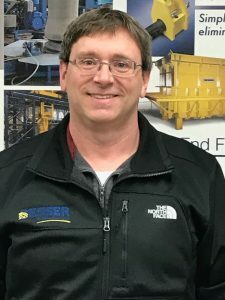 Mike Reed, joined Besser as a Customer Service Technical Support Representative nearly a year ago and is now the newest Sales Representative for Pipe and Precast. Mike covers the Great Lakes region and the Northeastern United States. He’s responsible for promoting Besser products, parts, service, and training to pipe and precast producers. Mike’s been making excellent progress learning the pipe and precast business and specifically our new box culvert line. He’s looking forward to continuing to meet industry members and determining how Besser can best meet their needs.